Like everything else these days, car seats have been changing at lightning speed. We’re seeing design improvements that make them safer and more comfortable than ever before. There are also more brands and models available than ever. It can be kind of overwhelming when you’re trying to decide which one to buy. Let us help you out. 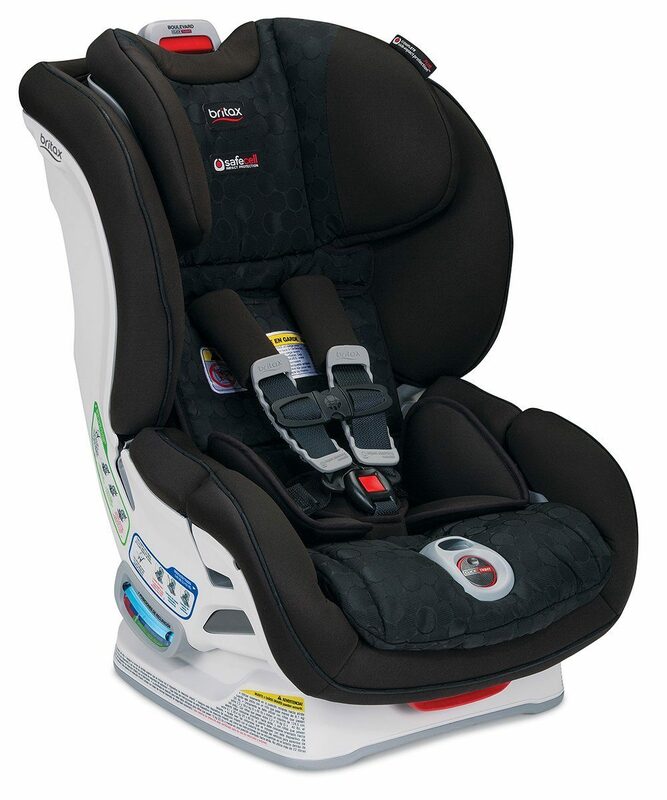 Britax USA is one of the leaders in the industry. They’ve been making top quality innovative car seats for years. This review will give you the lowdown on the new and improved 2016 Britax Boulevard ClickTight car seat. Is it really one of the best convertible car seats on the road today? Let’s find out. Before we go into all the details, let’s have a quick look at the differences between the three Britax ClickTight convertibles: the Boulevard CT, Advocate CT and Marathon CT.
Marathon ClickTight is 2 inches shorter at the shoulder than the other two models. It doesn’t have extra side impact protection. It doesn’t have the Click & Safe Snug Harness Indicator. It’s also the least expensive model. Boulevard ClickTight has 2 layers of side impact protection, and it does have the Click & Safe Snug Harness Indicator. It’s a little more expensive than the Marathon. Advocate ClickTight is the same as the Boulevard, but it has 3 layers of side impact protection. It’s the most expensive of the models. The Click & Safe Indicator makes a sound when you have the harness adjusted correctly. If you want this feature, then go for the Boulevard Clicktight. It’ll cost you about $30 more than the Marathon. If you don’t care about having the indicator, then you’ll save yourself 30 bucks by buying the Marathon. 6 Should You Buy a Britax Boulevard ClickTight? 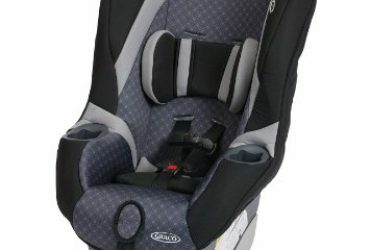 This is a great convertible car seat that offers plenty of flexibility. Britax engineers based the design on the original Britax Boulevard, and they added new features to make it easier to use. You can use it as a rear-facing seat for babies weighing around 5 lbs to 35 pounds. Then you can switch it around and use it in the forward-facing position when they get bigger. The recommended weight for forward-facing use is 20 to 65 pounds. As your child grows, you can adjust the height of the harness. The lowest setting is 10.5 inches and highest is 16 inches. Most car seats make it hard to adjust the height of the harness. You have to take the straps out and then thread them back through another set of slots in the seat. And usually there are only two height positions to choose from. But the Boulevard ClickTight is completely different. Instead, it has two knobs on the back that you just turn to raise or lower the straps. No need to take the seat out of the car. No need to even take your child out of the seat. It’s super simple to get the perfect fit for your little one! Not all vehicles have side-impact airbags, but they’re becoming more common. Whether your car has them will impact where you place your child’s car seat. You should check your vehicle owner’s manual to determine the safest location for the car seat. If you plan to put your child’s car seat in the middle of the back seat, then this isn’t an issue. But, if you’re going to put it at the side, the Boulevard ClickTight would be a smart choice. It has extra layers of side padding and wider head wings that give added protection from side impact collisions. Britax made a small but significant change in the harness buckle. It used to be that only the second half of the buckle clicked when you fastened it. Now both sides click, so you can be sure that it is fastened all the way. One of the main differences between the original Boulevard car seat and the Boulevard ClickTight is the Click & Safe Snug Harness system. It’s very simple. The indicator makes a clicking sound when the harness is tight enough. That way you can be sure that your child is safe and secure. Another great feature is the Versa-Tether that allows you to use the seat in either the rear-facing or front-facing position. It gives added stability to the car seat during a crash. The tether has some extra stitching that will come out if you’re in a crash. That stitching is an added safety feature to let you know that the tether needs to be replaced. Some people use the LATCH system to install their car seat. Others use the car’s seat belt. If you install the car seat using a seatbelt, the built-in lock-offs are going to give you a perfect fit. If you use the LATCH, you’ll find that it’s easy to install and easy to undo. Moving the seat is not a problem at all. Either way, you can be confident that the car seat is going to stay in place. Britax is all about making your child comfortable. The Boulevard ClickTight has soft wide shoulder straps. That means they’ll lay smoothly across your baby’s shoulders without twisting and irritating his neck. It also has premium padding and ultra soft fabric to keep your baby feeling cozy and comfortable. Adjusting the car seat to fit your child is easy and hassle-free. You can change the height of the shoulder straps without having to take the whole thing out of the car. It’s easy to change the reclining position, too. Just pull the lever and slide it back or forth to where you want it. Simple. There is a little bit of a learning curve with the harness adjustment. But once you get used to it, you’ll find it quick and easy. Just make sure to loosen the straps and give them some slack before you adjust them. The EZ-Buckle Pad will save you a lot of time and aggravation. It holds the buckle and strap out of the way while you’re putting the baby into her seat. You won’t have to dig around under her to find the strap. Quick and EZ! It’s easy to adjust the chest clip, too. Just remember that you need to do this every time you put your child in the seat. If you’re thinking about upgrading to the ClickTight from the original Boulevard, you might want to reconsider. The only difference between the two is the addition of the Click & Safe system to the ClickTight. And all that does is make a clicking sound when you tighten the harness. If you already know how to to get the harness tight enough, you probably don’t need this feature. You may as well stick with your original Boulevard. You should also know that the Click & Safe indicator sounds are not loud. If there’s much noise going on around you, you may not even hear it. The indicator is nice to have, but you don’t want to rely on it too much. Always make a visual check to be sure that the harness is tight and in the right position. You can’t change the position of the crotch strap. It’s fine for babies, but as they grow, it can cause problems. Sometimes it’s uncomfortable or hard to buckle when the kids get bigger. It mostly depends on the size and build of the child. As your child grows taller, you need to keep an eye on how close his head is to the top of the car seat. When the seat is rear-facing, there should be at least an inch between the top of his head and the top of the seat. Make sure that you’re looking at the plastic car seat shell, and not the head wings. If there’s not an inch of space, then it’s time to switch to the forward-facing position. One minor annoyance is that the car seat doesn’t always stay upright when you take it out of the car and set it on the ground. This may or may not be a problem for you. If you keep it in the car all the time, then it’s not an issue. ample weight and height limits for both forward-facing and back-facing. seatbelt installation made easy by the ClickTight System. the ClickTight works as a lock-off device to keep the seatbelt tight and the carseat in place. no need to re-thread the harness as your little one grows. wide strong harness straps that resist twisting. 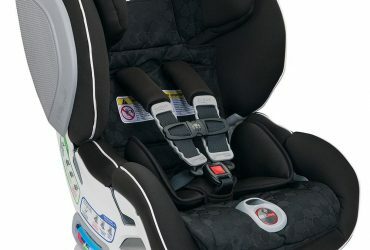 EZ-Buckle keeps the buckle forward and out of the way when you put your child in the seat. wide and deep head wings give extra protection from side-impact crashes. high quality foam, tether, and HUGS pads absorb energy and reduce the chance of injury from accidents. harness straps can be replaced if needed. seat angle can be adjusted in both positions. doesn’t take up a lot of space when rear-facing, which allows the front car seats to go back further. removable cover made of high quality fabric. Should You Buy a Britax Boulevard ClickTight? Overall, the Boulevard ClickTight is an excellent value, and we wouldn’t hesitate to recommend it to anyone looking for a quality convertible car seat. It provides comfort and plenty of protection for your child. We really like the deep head wings and extra padding that minimize injuries from side-impact collisions. If your car doesn’t have side-impact airbags, this is an excellent choice. 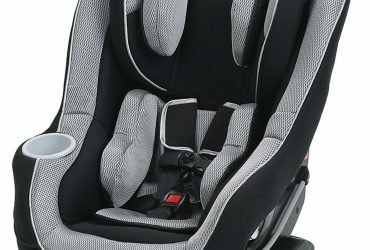 The Versa-Tether, LATCH connectors, and ClickTight features all work together to hold the car seat in place no matter how rough the ride. You can be sure that your child will be safe and secure in this seat. The ease of use makes it a winner for Mom and Dad, too. You’ll love the simple installation and the no-hassle harness adjustment. The EZ-Buckle will save you time and aggravation, too. Even though the Click & Safe Snug Harness Indicator isn’t crucial, it’s nice to have. It’s a good option if you want that added assurance that you’ve tightened the harness correctly. Chances are your child will outgrow this car seat by height before reaching the maximum weight limit of 65 pounds. So that means you’ll be able to use it for a good 5 to 6 years. So the annual cost of protecting your child with the ClickTight is pretty low. If this sounds like the car seat for your family, you can get one for a great price right now at Amazon.